Lurking among the corpses are the body-snatchers....plotting their next venture into the graveyard....the blood in your veins will run cold, your spine tingle, as you look into the terror of death in tonight's feature....come along with me into the chamber of horrors, for an excursion through.... Horror Incorporated! Synopsis: On an expedition to the mountains of Tibet botanist Dr. Wilfred Glendon (Henry Hull) is on the trail of a mysterious flower that blooms only in moonlight. 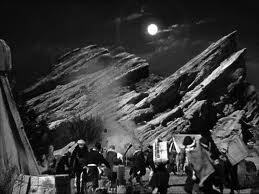 Entering an impossibly remote region (which looks suspiciously like California's Bronson Canyon), he secures a specimen of the "moon flower" but is attacked by a strange creature -- seemingly part man and part wolf. Back at the laboratory in his London estate, he tries to get the moon flower to blossom under an artificial moonlight projector he has constructed, to no avail. Glendon's obsession with discovering the secrets of the flower has caused him to neglect everyone in his life, including his beautiful and devoted wife Lisa (Valerie Hobson). Glendon is soon visited by a mysterious scientist, Dr. Yogami (Warner Oland). Yogami warns Glendon that the creature that attacked him in Tibet was a werewolf; because of this, he is doomed to become one himself. The only hope for staving off the affliction is the juice from the moon flower that Glendon is now keeping in his laboratory. But it quickly becomes clear that Yogami wants the specimens for his own purposes. Glendon notices that when he places his hand underneath the moonlight projector, the hand grows hairy; when he applies a drop of juice from one of the blossoms on the hand, it returns to normal. But there are only one or two buds on the moon flower -- not enough to help him if things get, well, really hairy. Meanwhile, Lisa has reconnected with an old flame, Paul Ames, who has recently returned from a long stay in America. Paul runs a flight school in California, a not-so-subtle counterpoint to the deeply-rooted life of a botanist. While Paul's behavior toward Lisa is strictly above board, it is clear that there is a mutual attraction at work, and it is also quite obvious that Paul can offer a life that Wilfred can't: the carefree, adventurous and attentive Paul is shown to be a favorable alternative to the secretive, buttoned-down Wilfred. Comments: Henry Hull stars as the hairy-handed gent who ran amok in Kent, in a production that predates George Waggner's better-known The Wolf Man by six years. Werewolf of London deserves praise on a number of points: it is Universal's first foray into werewolf lore; the moon flower that serves as an antidote to lycanthropy is an interesting device; but most importantly, it cleverly uses the werewolf concept as a metaphor for deeply repressed emotion. Not only is Wilfred a stereotypical scientist -- more interested in his test tubes and experiments than anything else -- but he's also a stereotypical Brit, who finds strong emotions confusing and emotional displays distasteful. Thus Wilfred can only watch disapprovingly from afar as his wife is drawn into the orbit of another man. So it makes sense, given Wilfred's state of mind, that when he becomes a werewolf he inexorably zeros in on Lisa, whom he subconsciously views as the source of his troubles. This is far more interesting dramatic terrain than we find in The Wolf Man, in which we're asked to believe that Lawrence Talbot, a thoroughly nice guy who never had an unkind thought about anyone, goes on a rampage entirely against his will. 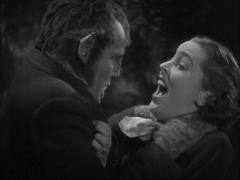 The Wolf Man winds up being the better movie, though, for a number of reasons. From beginning to end Werewolf Of London proceeds at what might charitably be called a leisurely pace, and wastes a number of opportunities to build suspense. The moon flower, which is carefully set up to be a crucial plot element, is discarded by the third act. And in spite of its best efforts the movie veers dangerously close to comedy, because nearly all the victims belong to London high society. Werewolf of London becomes a movie primarily about social embarrassment. Wilfred's greatest crime is not that he's turning into a wolf and killing people. It's that he is making such a deuced spectacle of himself among the teatime-and-lawn-tennis set. It just isn't done, old man! 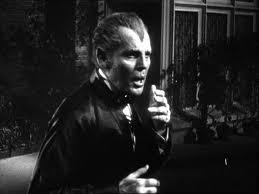 Henry Hull is convincing as the starchy Wilfred, and does well enough in the werewolf scenes. But he isn't helped by the makeup effects, which made him look more like Eddie Munster than a wild animal. Valerie Hobson (who played Elizabeth in both Frankenstein and Bride of Frankenstein) makes a very fetching Lisa -- beautiful, loyal to her husband, but also keenly intelligent and capable of making her own decisions when the chips are down. Hobson takes a thinly-written role and makes more of it than most actresses of the day would have done. Warner Oland, on loan from Fox Studios, was at the height of his considerable fame when this movie premiered in the spring of 1935. He had been playing detective Charlie Chan in that profitable series of films for several years now, and would do so until his death in 1938. Typecast as a Mysterious Oriental (though he wasn't actually of Asian descent himself) Oland nonetheless turns in a solid performance here. 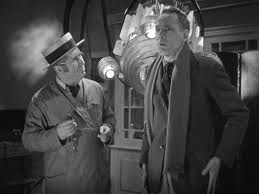 Lester Matthews, a bread-and-butter actor who worked steadily throughout the 1930s, is unquestionably the weak link as Paul Ames. Matthews is far too bland for the role. Paul should be a dashing Errol Flynn type, a fun-loving and adventurous soul who points up all of Wilfred's deficiencies as a husband and as a man. Instead, we have another repressed Brit politely eating cucumber sandwiches on the sidelines. This is a werewolf movie that could have used a lot more wolfish behavior. THE WEREWOLF OF PARIS, the 1933 Guy Endore novel, probably inspired this first take on the legend, more Jekyll/Hyde science fiction than Larry Talbot horror. No other werewolf movie features two creatures on the loose, yet this film never once allows us to see Warner Oland's bestial side, at least away from Tibet. Henry Hull always had high praise for Jack Pierce's makeup wizardry, but was unwilling to become another Karloff (the Kentucky-born actor was unsuited for the genre anyway). 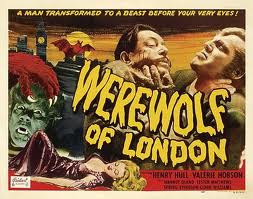 Neither Hull nor Valerie Hobson elicit much sympathy, a crucial failing when it comes to werewolf pictures. 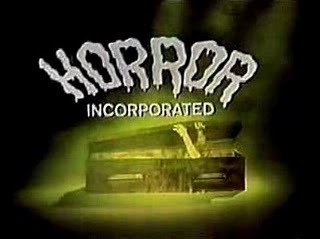 This site is an homage, of sorts, to the fondly remembered TV show Horror Incorporated, a late-night creature-feature that was broadcast on KSTP-TV in Saint Paul - Minneapolis throughout the 1970s. The goal of the Horror Incorporated Project is simple: to natter on about each movie featured on the show until a) the movies run out; b) you get sick of reading about them; or c) I get sick of writing about them. Whichever comes first. The Project is meant as a peaceful, non-remunerative endeavor and is for entertainment purposes only. Your faithful proprieter Uncle Mike takes full responsibility for any errors in fact that will inevitably creep into the narrative. 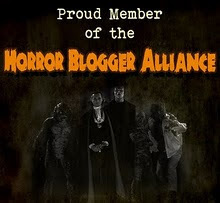 LEGALISTIC SOUNDING JIBBER-JABBER: I have no official connection with Horror Incorporated, or with its copyright holder, Hubbard Broadcasting Inc. Any images, logos, quotes or video from the program are understood to fall under the fair use provisions of copyright law. All original essays copyright 2010 - 2016 by Michael Popham. Quod scripsi, scripsi. Powered by Blogger.